Chris Glandt will manage Visa Lighting’s Research and Development department, whose responsibilities include fixture aesthetic design, solid state (LED) lighting, optical design, electrical and electronic engineering, and research into new technologies and systems. The popular Unity Patient Room Luminaires are now available in LED. Oldenburg Group Incorporated received a LEED “Certified” designation from the U.S. Green Building Council (USGBC) for its Technical Center built in Kingsford, Michigan. The Redding School of the Arts has won a National Award for School Design which features three light fixture designs from Visa Lighting. Visa Lighting's new Sleight fixture has been recognized as a winner of the 2010 Next Generation Luminaires Design competition for Wall Grazing. Visa Lighting's new Escape fixture has been recognized as a winner of the 2010 Next Generation Luminaires Design competition for Indoor - Decorative Wall Lighting. 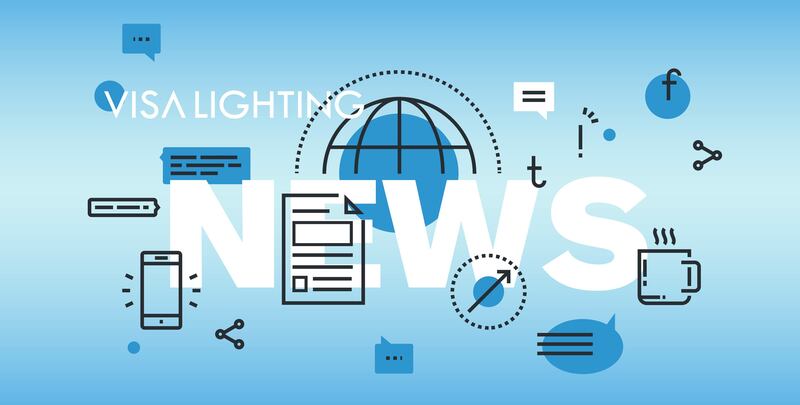 Visa Lighting is pleased to announce inclusion within the Illuminating Engineering Society of North America's LD+A magazine's 2010 Progress Report.